November 15, 2018 – On November 2, 2018 the ceremony of the winners of the Twelfth International Commemorative Coins Contest “Coin Constellation-2018” took place in Moscow. It was held within the framework of the Ninth International Coin Conference and Exhibition COINS-2018. This year, 41 participants from 26 countries of the world submitted over 220 coins. According to the competition conditions, all the coins were issued since January 1 until December 31, 2017. 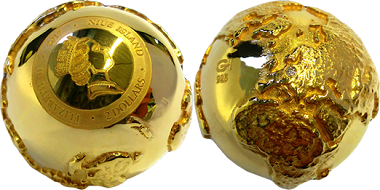 The winner is “3D Golden Diamond Globe” coin struck at Helvetic Mint (Switzerland). “Time Capsule Coin” coin submitted by Coin Invest Trust (Lichtenstein) occupied the second place. 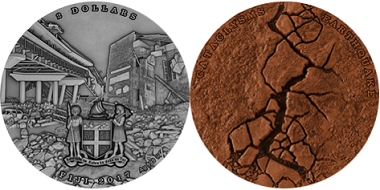 “Earthquake – Cataclysms” coin struck at the Mint of Gdansk received the third place. 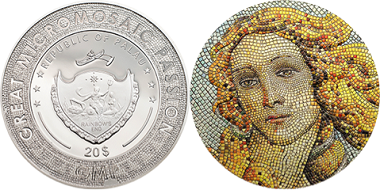 The winner in this category is “Birth of Venus” coin. Power Coin was awarded for the coin. 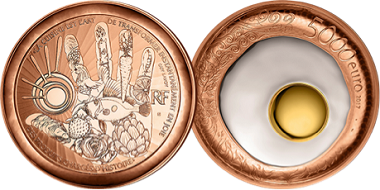 “French Excellence” coin struck at Monnaie de Paris received the second place. “Fairy Tale Coin III. The Old Man’s Mitten” issued by the Bank of Latvia received the third prize. “Tsar Kolokol” coin struck at the Mint of Poland received the first place. 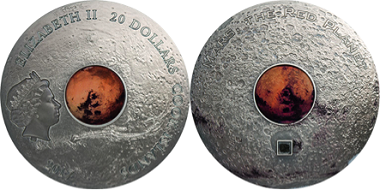 “Mars” coin submitted by NumisCollect (the Netherlands) received the second award. 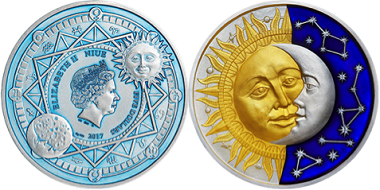 “Sun & Moon” silver coin occupied the third position. ART MINT (France) was awarded for the coin. 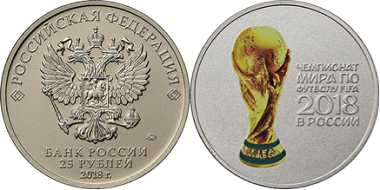 “2018 FIFA World Cup Russia (special edition)” coin issued by the Central Bank of Russia and struck at the Moscow Mint of Goznak (Russia) received the first place. Two coins shared the second place. The first is “Paris Universelle” coin struck at Monnaie de Paris. 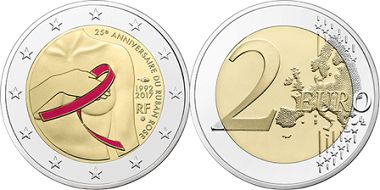 The other is “Breast Cancer Commemorative” struck also at Monnaie de Paris. 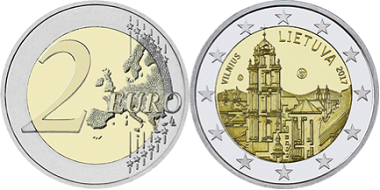 “Vilnius” coin occupied the third position. 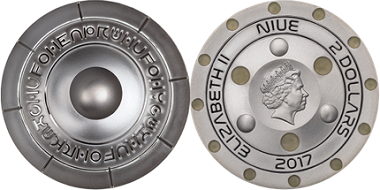 The Lithuanian Mint was awarded for the coin. 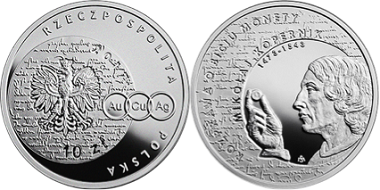 “The Great Polish Economists – Nicolaus Copernicus” coin issued by the National Bank of Poland and struck at the Mint of Poland was the winner. The second prize was given to “Compromise” coin. 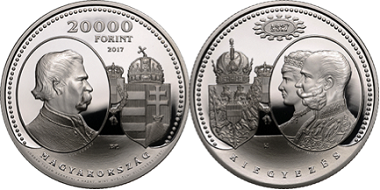 The Central Bank of Hungary and the Hungarian Mint were awarded for the coin. 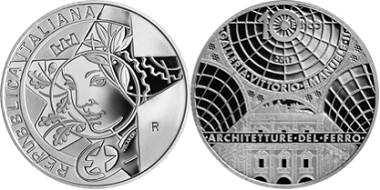 “Iron Architecture – Victor Emmanuel II Gallery in Milan” coin struck at the Italian Mint received the third prize. 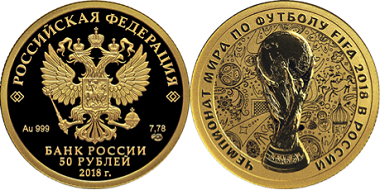 The Jury named “2018 FIFA World Cup Russia” coin issued by the Central Bank of the Russian Federation the best “Souvenir Coin”. This coin struck at the Saint Petersburg Mint of Goznak (Russia). “UFO” coin submitted by ART MINT (France) won the second place. “The Year of the Dog” coin submitted by the National Bank of the Republic of Belarus received the third award. 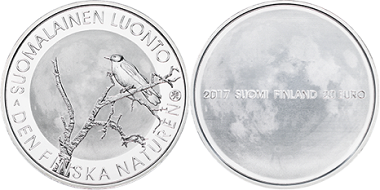 “Finnish nature” silver coin minted in Finland was chosen the silver coin of the year. “Skaryna’s Way. 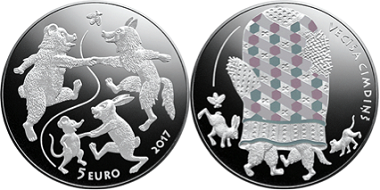 Prague” coin issued by the National Bank of the Republic of Belarus occupies the second position. 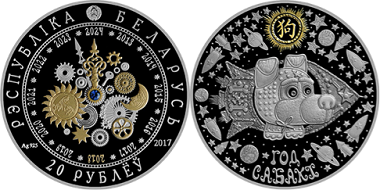 “Esclavage Bow (special edition)” coin produced at the Saint Petersburg Mint of Goznak (Russia) received the third place. 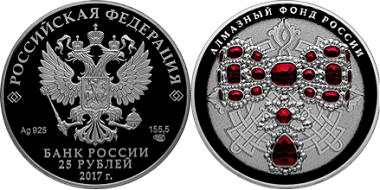 The coin issued by the Central Bank of the Russian Federation. 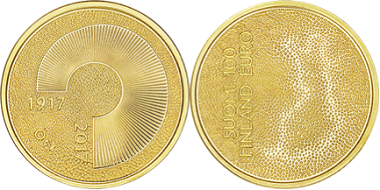 “Independent Finland 100 Years” coin struck at the Mint of Finland Russia was chosen the gold coin of the year. 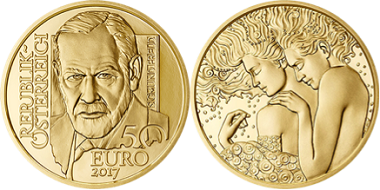 “Sigmund Freud” coin minted in Austria received the second place. 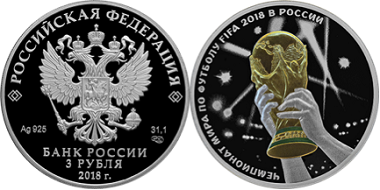 “2018 FIFA World Cup Russia” coin struck at the Saint Petersburg Mint and issued by the Central Bank of Russia is on the third place. 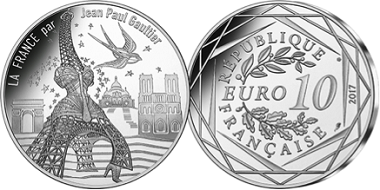 In the opinion of the jury, “French Excellence” submitted by Monnaie de Paris became the coin of the year. 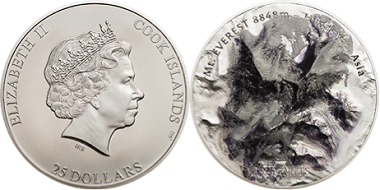 “Mount Everest” coin submitted by Coin Invest Trust (Lichtenstein) received the second prize. “Independent Finland 100 Years coin” occupied the third position. The Mint of Finland was awarded for the coin. 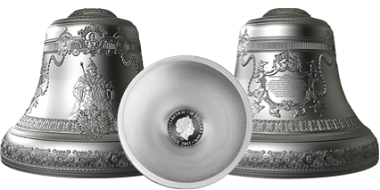 The Special Prize was given to the Czech Mint for a successful combination of traditions and innovations. 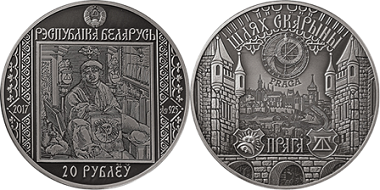 This year, Nikolay Mikhailovich Belyaev, Head of Division of Technology and Production Control of Coin and Order Production of Goznak, received the prize “For the contribution to the development of commemorative coins market”. 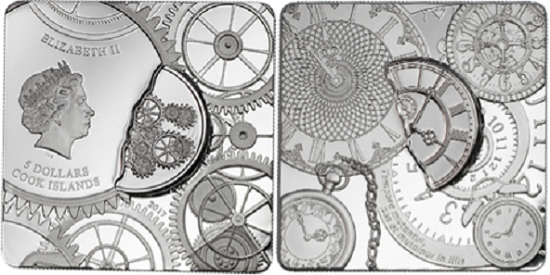 According to the results of online voting, “Sun” silver coin (ART MINT) received the People’s Choice Award. There were totally over 11000 votes for the coins submitted to the contest. 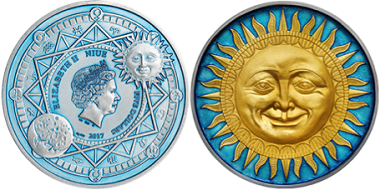 “Sun” coin received the average score of 8,02 points out of 10 that enabled it to win in this category. “Coin Constellation” is the only international contest of commemorative coins held within the territory of Russia. Coins submitted by the national banks, mints and coin distributing companies from all over the world participate in the contest. The winning coins were determined by absentee voting of the members of the International Expert Jury based on coin images and descriptions submitted by the participants. In the Competition Jury, there are specialists from well-known world museums and auction houses, representatives of numismatic associations and specialized editions about coins from different countries. The Tenth Category – “People’s Choice Award” – was determined according to the voting results on the official website. Everybody could take part in the internet voting until October 20, 2018. All site visitors who voted for the coins they liked also took part in a special lottery – they won commemorative coins of precious metals as well as subscription to The Gold Chervonets Magazine for 2019. Those who left the greatest number of comments to the contest coins at the site also received the subscription. Besides, within the framework of awarding, Special Prize by the Organizing Committee of “Coin Constellation” and award “For the Contribution to the Development of Commemorative Coins Market” are given every year. The organizer of “Coin Constellation” is Water Mark Publishing House, publisher of The Gold Chervonets Magazine and the organizer of the International Coin Conference and Exhibition. Additional information is available on the Coin Conference website.